A day dedicated for worshipping dogs and honouring them in all of their aspects: as guardians, companions, and friends. It’s time to celebrate their undying love & gratitude of the past 33,000 years. So come Celebrate Companionship, Celebrate Unconditional Love, Celebrate this purest bond with a day dedicated to your dog. Felicitation of dogs, Dance show, Photo booth, Free giveaways & more! 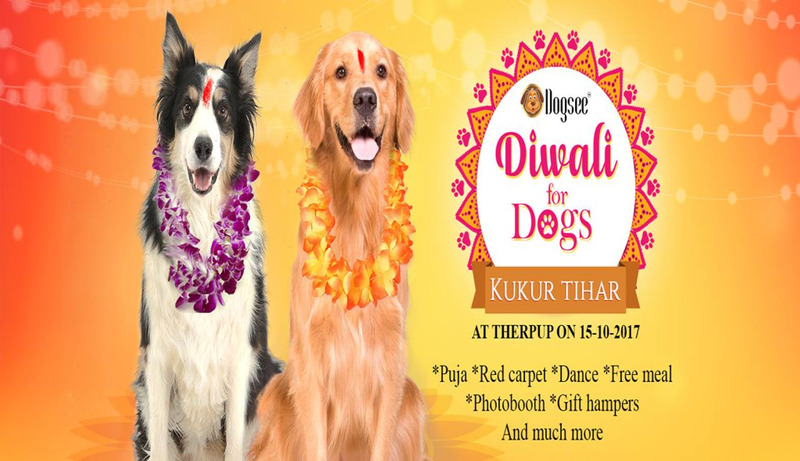 Dogsee Chew brings to you KUKUR TIHAR - the famous dog festival, once again right here (in Bangalore) at TherPUP Dog Cafe.